One of the finest, high protein health snacks on the market. Sliced, roughly crumbed or ground-up, Biltong can be eaten on its own, or used in various dishes such as salads, soups, various beef dishes – even bread! From dry aging the beef, to hand curing, air drying, tender hooking and hand cutting the Irish Biltong, the product is produced with the greatest of pride with the oldest of traditional techniques known in the industry. Great tasting, healthy recipes for the whole family to enjoy. All with our high-protein Irish Biltong as the star of the show. High in Protein. Low in Fat. 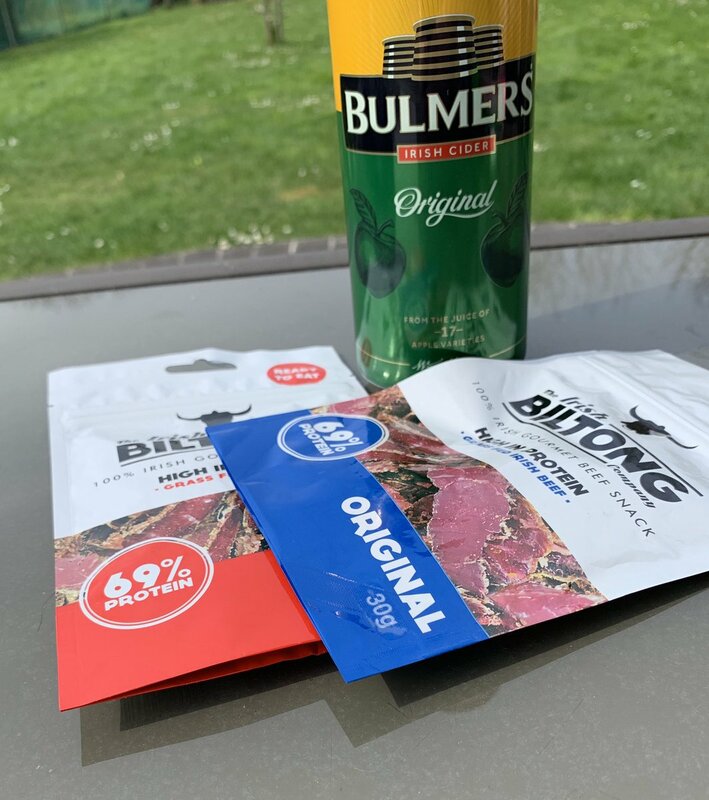 Irish Biltong packs a punch for those looking to stay in shape. The perfect after training snack! While we don’t often think of snack foods as being part of a healthy diet, biltong is a very important exception. Our premium quality biltong is made from the very best cuts of beef. With very little fat and no artificial preservatives, our quality biltong is a great addition to a low-carb diet, or any diet which involves working out on a regular basis. "Irish Biltong makes a great snack option as it is providing a good quality source of protein in a tasty portion size. The players like the variety of flavours (original & chilli), and it makes a great travel/kitbag snack as it is non-perishable and easily transported." We’ve teamed up with Chef Gary O’Hanlon to produce wonderfully healthy recipes, using our protein-rich range of Irish Biltong. We’ll continue to release new recipes with details on ingredients and cooking methods, so you can re-produce these delicious dishes at home. Watch two Dragons offer €100k to invest in our wonderful product! Catch up with the episode and see how Noreen handled the pressure cooker that is the Dragons Den. The Irish Biltong Co. is a family owned business in County Kildare. John and Noreen Doyle both come from farming backgrounds and John has been in the meat industry for over 25 years. Their family history and experience in agricultural processes, along with rearing Irish grass fed cattle on their own farm, allows the Doyles to give people that essential ingredient of trust that every customer needs.